Delivering unparalleled style and sheer resort-style luxury in the bathroom, Australia’s leaders in tapware, Dorf, has launched its stunning new Epic Cascade range. 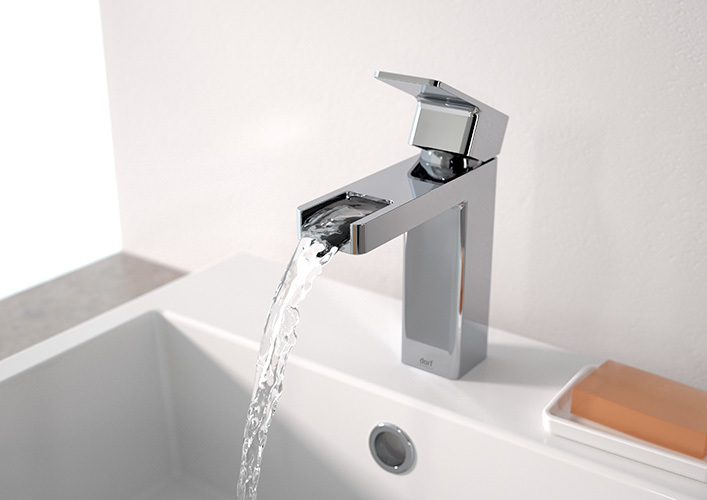 An extension of Dorf’s successful Epic tapware collection, the new products bring together the strong, sculptured design lines of Epic with a decadent, cascading water flow visible via the open top spout. Including a Basin Mixer, Wall Basin Mixer, Wall Basin Outlet and Bath Outlet, the Epic Cascade range encompasses precision engineering and clever in-built technologies, including Dorf’s Sure Fit® installation system, which guarantees square alignment of the outlet to the backplate and risk-free installation. The Basin Mixers have also been engineered to deliver optimum water efficiency, achieving a WELS 6 star rating. To find out more about the new Dorf Epic Cascade Mixer range and the complete Dorf Epic collection, please visit www.dorfepic.com.au or call 13 14 16.